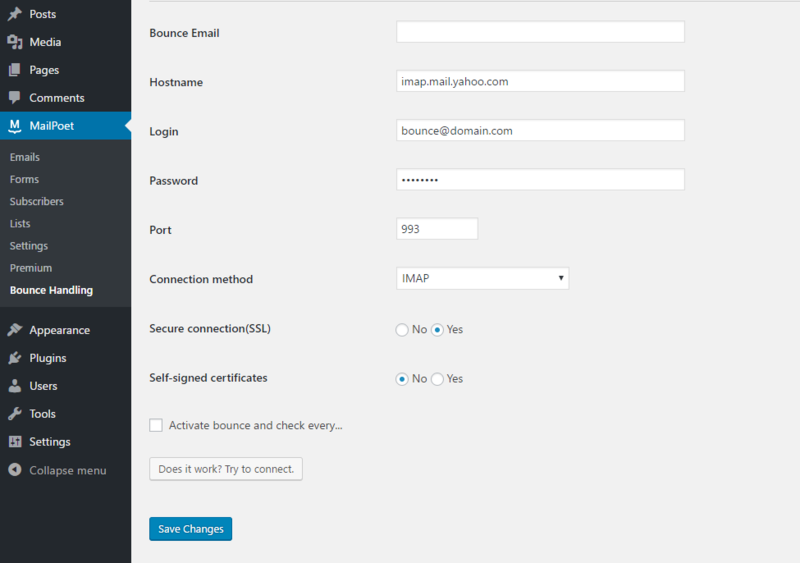 Automatic mail bounce handling for MailPoet 3, for installations using your own SMTP server. 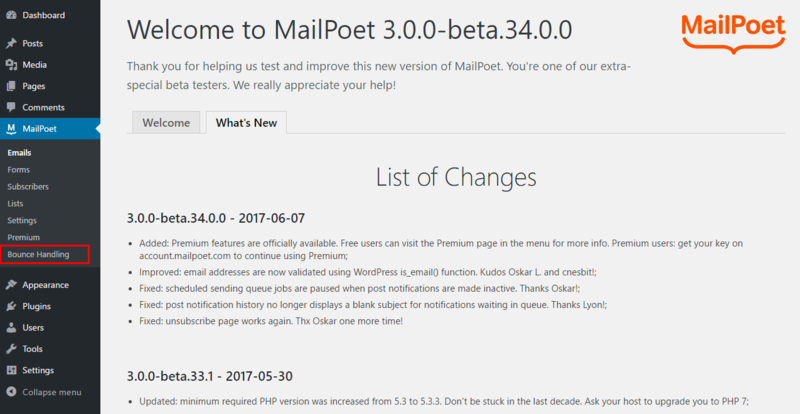 Install the plugin and find Bounce Handlingmenu under the MailPoet menu to setup. Last updated: 1 month ago. 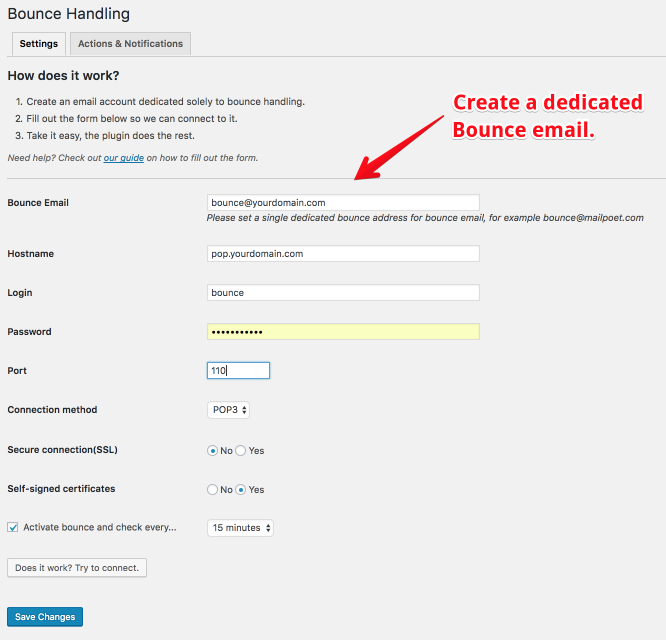 In this article, we will show you how to edit where email bounce notifications are sent. Step 2) Click the MailPoet link from the left-hand menu. Step 3) Click the Bounce Handling link from the left-hand menu. Step 4) Enter the email you wish to have bounce back notifications sent to and other information of this email. Step 5) Click the Save Settings button. It’s important for your sending reputation not to send to undeliverable email addresses. This feature is not recommended to clean your old lists! You run the risk of being blacklisted. Please use BriteVerify (our favorite one) or DataValidation. 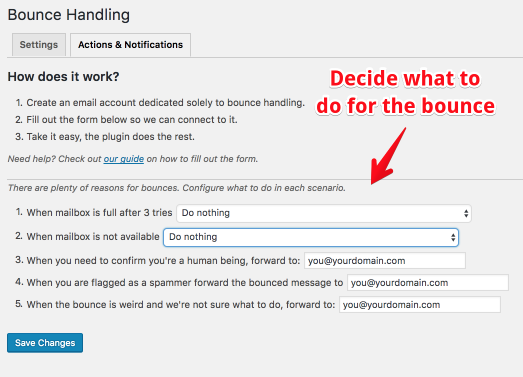 In our Premium version, we offer the possibility to handle bounced emails automatically. Very practical when your lists are over 2000 subscribers. Some hosts require the bounce address (Return-Path header) to be the same as the From address.